However, even as it follows other contemporary collaborations, there was something that set LVxSupreme apart from the rest (not least the sheer willpower required to negotiate the bureaucracy of such a high-stakes endeavour): it came as part of a broader collection that was centered around context, and which was executed with the remarkable finesse such a house can facilitate. An homage to late 80s New York – a period defined by uptown/downtown insouciance and the high/low juxtapositions of figures like Basquiat (who famously wore his Armani suits as painting smocks), it presented a nonchalant approach to dressing – but one which was resplendent with inimitable luxury. 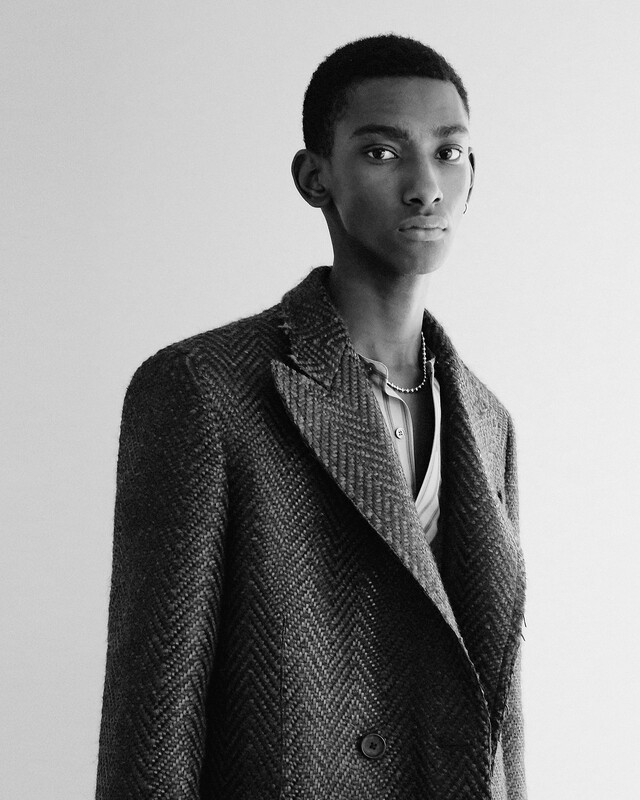 Coats made from double-faced Vicuna or hand-woven mohair and leather were slung over the shoulders of models wearing oversized cashmere V-necks with crocodile elbow patches and paperbag trousers; garments which, in Jones’ words, made their wearer “look like an Ivy League kid who has raided their dad’s wardrobe but worn it in a different way.” “They’re really classic pieces – waffle knits, and camel coats, and suits – but we’ve put them through a mill to make them feel young again,” continued creative consultant Alister Mackie – and they were relaxed, yes, but in that particularly louche way that only expensive clothes can afford to be. 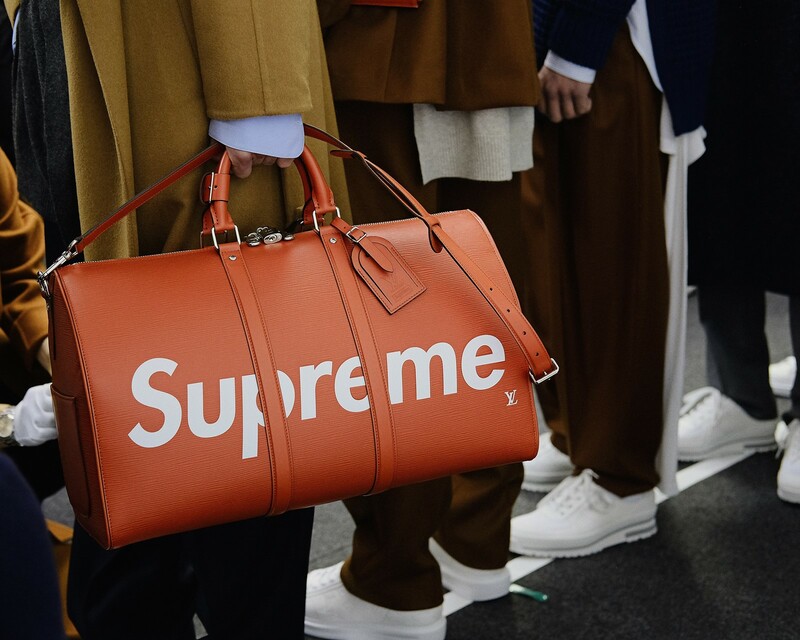 The iconic Vuitton travel trunk transformed into a skateboard case, or a Keepall Epi bag in Supreme red, embossed with that brand’s logotype? In Jones words, “they’re the design classics of the future”; in Mackie’s, “it’s pneumatic.” Whether it’s Jones’ personal connection to Supreme – he grew up packing boxes of the stuff while working at Gimme 5, and has a long-standing relationship with founder James Jebbia – or simply synchronicity, something about the pairing felt seamless rather than overwrought, and extended the appeal of both Supreme and Vuitton alike into new territories. Plus, who wouldn’t want a tiny penknife that somehow manages to fit two different logos onto its little body? It’s form and function in one. “At Vuitton, there’s always the thread of Antonio Lopez running through the collections,” explained Alister Mackie, referring to the renowned fashion illustrator who formed an integral part of New York’s 80s club and fashion scenes. 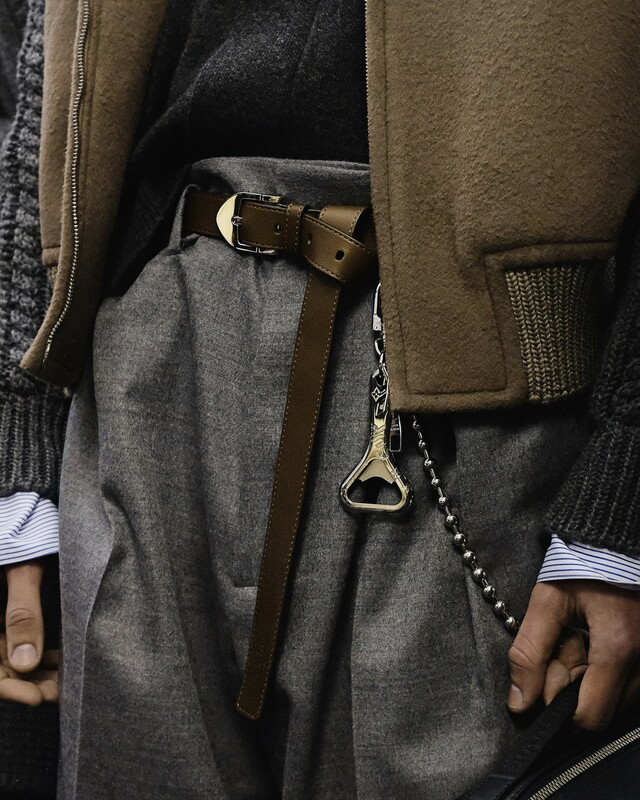 “This time, we wanted to exaggerate the menswear: the shoes are too big; the legs are too long; we played with the proportion and revisited the beauty of that sort of Cocteau character. 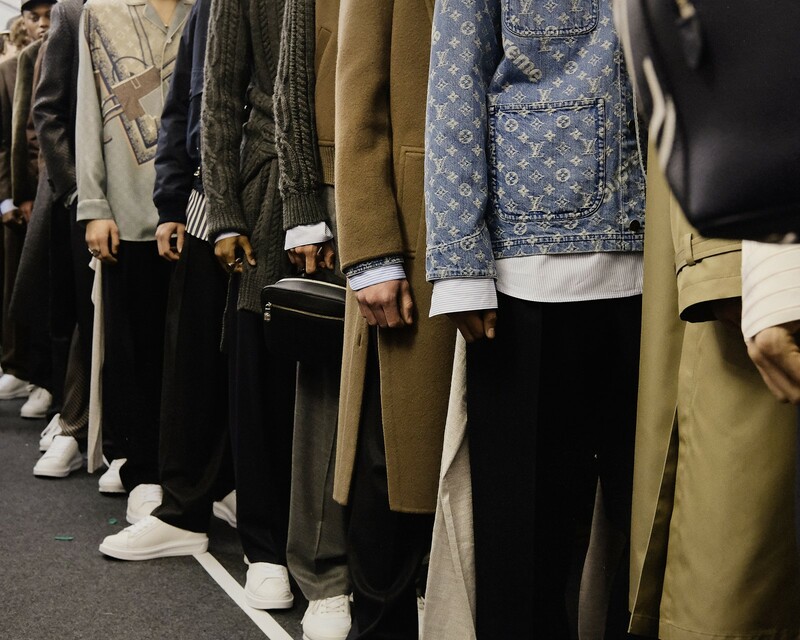 Essentially, the ultimate goal was to try and make the boys look a little bit like a fashion drawing.” By embracing such an aesthetic – taken from Lopez, alongside the propensity for men like Bill Cunningham and Julian Schnabel to wear pyjamas as daywear, Andre Walker’s casual sartorial sculpturalism and Marc Jacobs' foray into luxury grunge – Vuitton created a collection that carefully reprised the insouciant cool of that era. After seasons spent travelling the globe and designing collections which have paid homage to more exotic realms – Japan, India, China, South Africa – why, this time around, did Jones choose New York as his inspiration? “Because I felt like it,” he grins. But surely now is a particularly pertinent time to be paying homage to Americana, I say. “I don’t want to be political, it’s not my job to be,” he replies, “but New York’s a great city and it’s going through changes and I wanted to celebrate a time there that I love, and the uptown/downtown way that people mix together there.” So, images of Amy Arbus’ photography appeared on the moodboards at the studio – street-style images originally captured for her column in the country’s first alternative newspaper, The Village Voice. In 2015, Arbus explained to AnOther that “we realised I was finding the kids that the high fashion designers were ‘borrowing’ from for their high fashion” – and so, this explicit homage to such a culture comes full circle in a slightly meta manner: high fashion inspired by images taken of people who inspired fashion. But, while those figures were central characters in the collection, equally there were disco shirts (decorated with New York-centric prints from the Louis Vuitton archive) which paid tribute to the attendees of Studio 54 (as, presumably, did the tiny spoons which appeared on necklaces); the bright white trainers of hip-hop boys and Dapper Dan; monogrammed denim baseball shirts; waxed canvas parkas designed in homage to those of the city’s fireman (“he’s the hero of everyone in New York” says Jones). 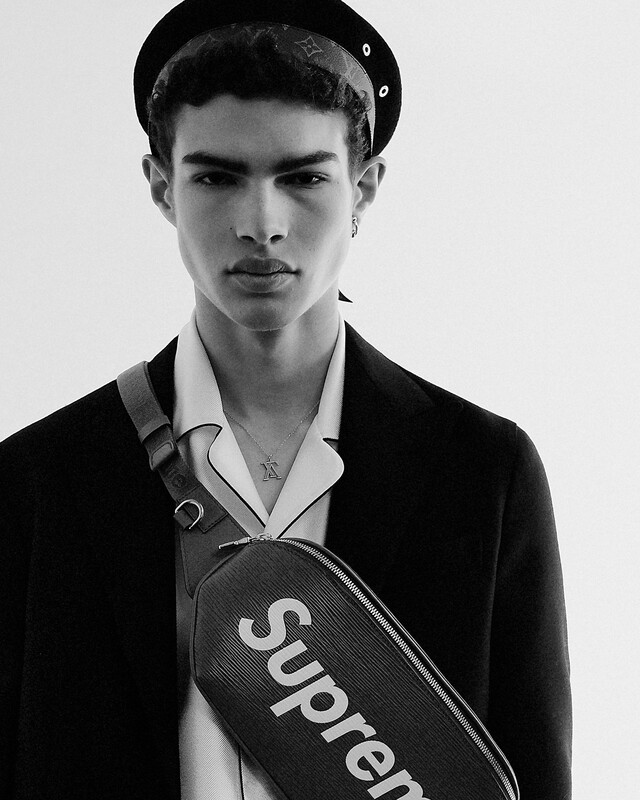 Plus, of course, “any conversation about menswear in New York wouldn’t be complete without Supreme.” “Artists and musicians, friends and heroes” was the subtitle to the collection, and that’s precisely what it was: a tribute to all of those people who Jones, and Mackie, most admire from across the Atlantic. 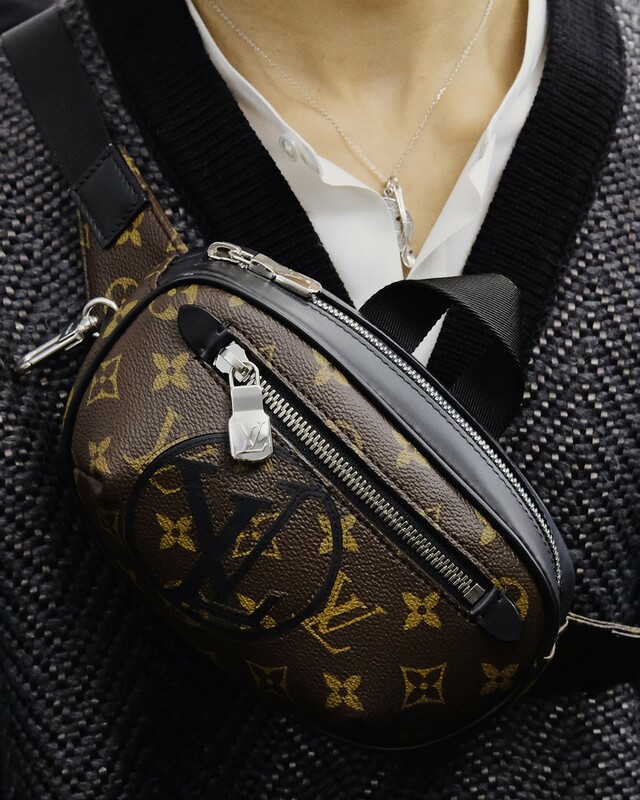 But perhaps most importantly of all, especially considering the context those friends and heroes were being presented with in – that of Paris Fashion Week, during a time when America is in a volatile state of flux – Vuitton made its cultural capital look particularly appealing.